Yeah Boney does look fun. Waiting for eight figures to go on clearance is a massive gamble I'm not willing to make. 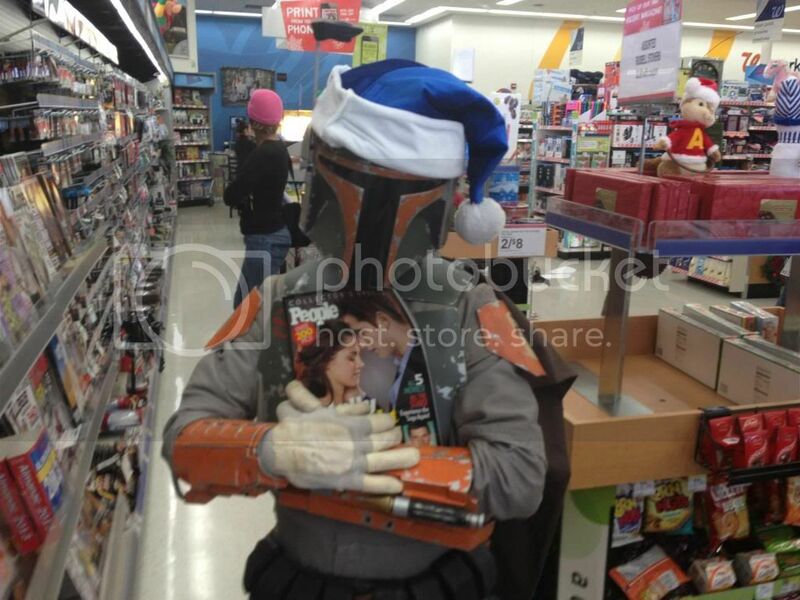 What if you wait and a few of them never hit clearance and sell out? I wasn't willing to do that in CW or PotP with even five figures, I definitely wont be doing that with eight. I made that mistake with Playmates Voltron 84 and now I can't find a Red Lion online for under $50 to save my life (the rest can still be found easily at MSRP). Nope, I'm buying each Constructicon on sight. Every single mainline figure over 20 bucks that I have bought for full price in the last five years, I have found for deep discounts later on. I'm tired of throwing money away, so I'll be waiting on these guys. If I miss then I miss, and who knows? I tend to give in to impulse buying when I actually find something new on shelves. Spotted this on reddit and thought it was funny, clever and pretty accurate. Though it's way more of one than the other but amusing photo posing stuffs. Pretty much 90 percent G1 Prime with 10 percent of 'realistic detailing' but not much at all of why I far prefer Bayverse Prime. Last edited by NTESHFT on Tue Mar 12, 2019 6:42 pm, edited 1 time in total. Dear Primus! Even their numeric designations are mirror images of each other! At least my local stores finally cleared out Crowbar. But funny enough, I only saw Crankcase once. I have seen Sideswipe more often than any other SS deluxe from this wave, and even that was only 3 times. D-Maximal_Primal wrote: At least my local stores finally cleared out Crowbar. For me, Sideswipe and Clunker Bumblebee have been the most rare. First one I saw was Crankcase. Then Barricade. Then WWII Bumblebee. I've only seen Sideswipe and Clunker Bee once, and bought them on site, along with my second sighting of WWII Bee. Now, I only see more Crankcases and Barricades. Does anyone know off hand what the ratio is for this wave? Having five different figures is awkward, but if Hasbro is smart, they did two each of Sideswipe, Barricade, and Crankcase and left the two different Bumblebees at one a piece. Crowbar, Ratchet, 2007 Starscream and Megatron and The Entertainer just a couple Grimlocks, one Stinger and a whole lot of Thundercrackers. I've had to most of my SS buying online. Which reminds me, I should have Brawl today. Yay, Brawl arrived. Have to say he's not one of my fave Transformer designs but the figure in hand feels and looks better than I thought he might when I saw him in box or in photos and he's a pretty cool figure all round. Will play it with more later and transform it but yeah he's cool. Well worth the £16.97 price from Kapow. Didn't like how the hands had kibble underneath them preventing him holding anything like a staff and preferring to see his hands unblocked from such things but luckily a couple of removed screws lets you move those panels back and away from the hands so you have the option. So I finally found Shatter the other day, and I’m just going to come out and say it, she is by far the lowest on my list of favorite Studio Series figures, her arms and kibble are way to loose upon initial opening, and it’s really difficult to get her alt. mode to rest with all 4 wheels. The worst part is, she’s not even mine, I GAVE HER AS A GIFT TO MY BROTHER! 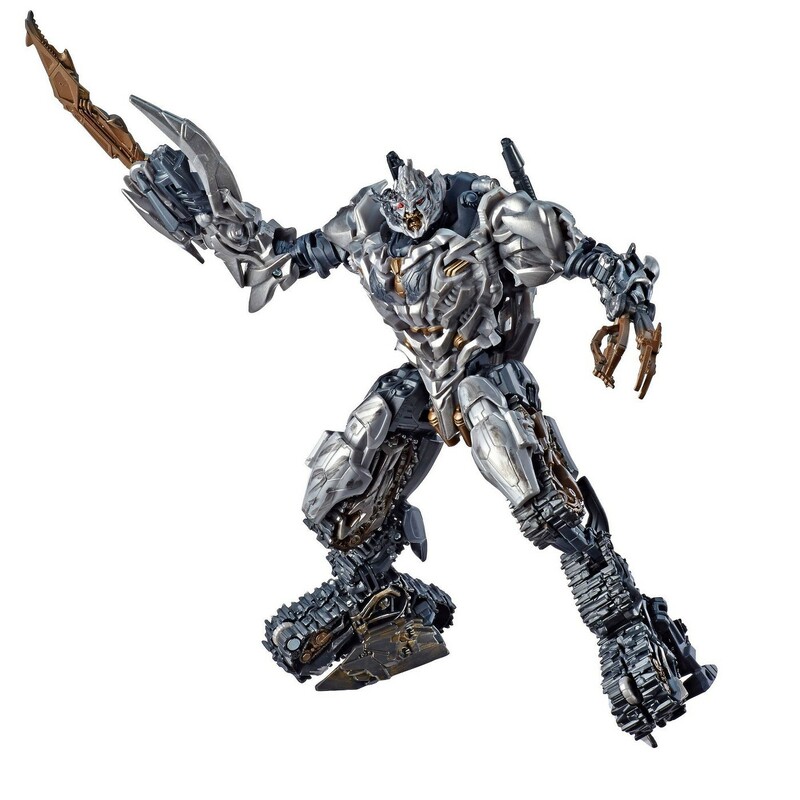 There's been a bit of mystery surrounding the 31'st entry into the Transformers Studio Series line, initially revealed several months ago, SS-31 Voyager Class Battle Damaged Transformers: Revenge of the Fallen Megatron. He's been appearing in some Asian distribution points, and we've even seen some video reviews over the past month or so, but information about a United States release has been scarce. We discussed in our latest "Twincast" podcast on Seibertron.com that SS-31 would likely be a Target exclusive in the U.S. Thanks to Seibertron.com member Survivefan23, we have confirmation in the form of an actual listing for the figure on Target.com! You cannot find the listing through conventional search methods on the Target website, so follow this direct URL instead. 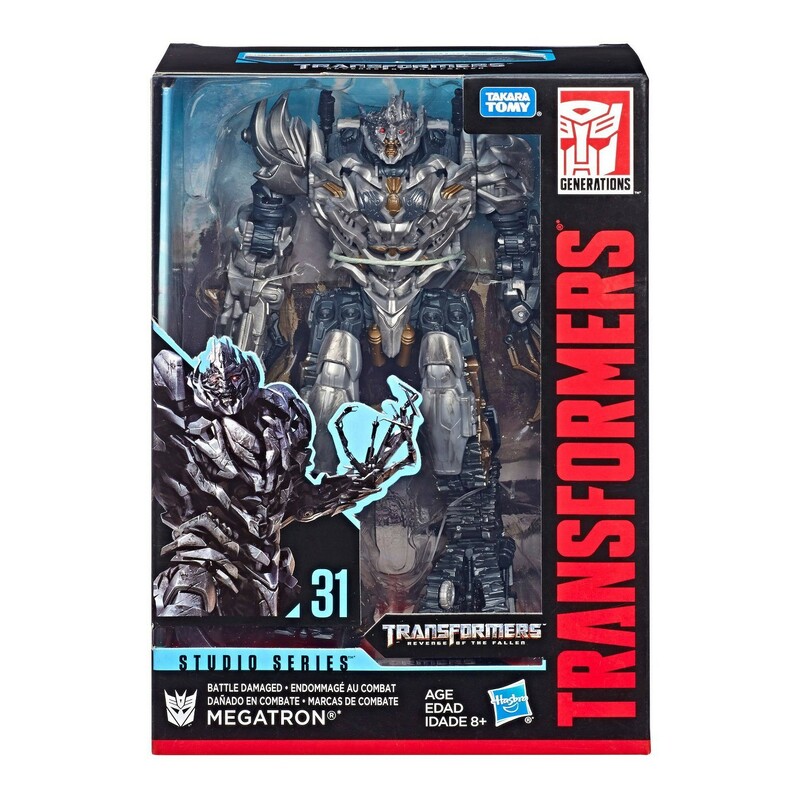 Unfortunately, the listing has Megatron as "Out of Stock," so you can't order him (or even pre-order him) at this time. However, you can opt to have Target email you when Battle Damaged Megatron comes in stock! Take a look at the product shots from the Target listing below to whet your appetite for this highly anticipated release for the Studio Series. Are you planning to pick up this Battle Damaged Megatron to commemorate his defeat and the hands of the Jetfire-upgraded Optimus Prime at the end of Transformers: Revenge of the Fallen? If you already bought SS-13 Voyager Class Megatron, is this remold and repaint enough to convince you to double dip? Tell us what you think in the comments below, and stay tuned to Seibertron.com for the latest news on all things Transformers! It is odd. When this line was first release, I said I'd purchase a combining Jetfire & Optimus if they ever made one. I also said I'd definitely get Devastator. 2 componants are out, and the rest are coming. 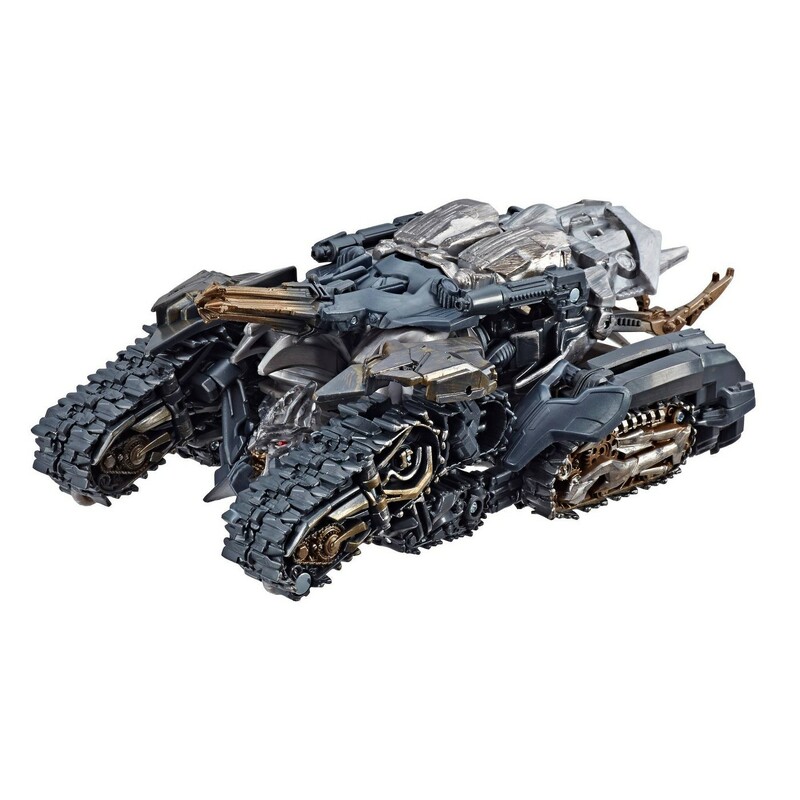 Lastly, when Cogman was first announced, I thought it was novel (but not likely), that it would just be a TLK re-release (which it basically is with improved paint detail). As of now, I've seen in store all the ones I said I'd purchase, and purchased None of them. Unfortunately my priorities are some very pricey items from the Legends line, and Siege. I just dont have the funds for this line as well. Additionally, the numeration of the series is something that makes it an *all or nothing* thing for me as well. The last TF line with dedicated numbers I was drawn into was Alternators. I loved that line, and there virtually were no limits, i wish it had continued. SS will, I see, have a finite number of entries, at least until the next Live Action TF movie comes out. But with nearly 50 entries in the line...where does anyone see this line ending? Even for arguments sake, if they end up re-releasing all TLK Deluxe, Voyagers, and Leaders as part of the SS line, do you think they will reach 100 before the next movie comes out? I suppose they could dig deep and release renditions of everyone from the first 3 minute sequence from BB. Battle damaged Megs has been available on some UK sites for a couple months or so but I've not got it cos it's not sufficiently different enough to the one I already have. The paintjob is nice but to pay again for less of a head? Nah. And I painted my standard figure anyways. I may reconsider if I see it cheap but it's certainly not a priority. o.supreme wrote: Additionally, the numeration of the series is something that makes it an *all or nothing* thing for me as well. I thought that myself (I'm one of those number people) but while I've bought a lot of the figures I have managed to break the numeration in some cases due to various exclusives or hard to get figures or ones I simply just don't care for. My Sideswipe and Barricade are Takara ones which are numbered differently so throw my order out the window anyways. I had the Gold VW Bumblebee from the Retro Pop pack but sold it when I realised I don't really want much from the Bumblebee film I very much dislike (and I've been tempted to sell the standard yellow one too, I don't even like VW Beetles that much to begin with). This has certainly easily been the one action figure line in my whole life where I've bought so much from though. Bah, those two are bugging the heck out of me not being Hasbro ones. We're up to SS-44 Leader Class Transformers: Dark of the Moon Optimus Prime right now. I don't think the Studio Series will be slowing down any time soon. We've still got 6 more Constructicons to go, as well as a LOT of missing characters from all of the sequels, including Skids, Mudflap, Jolt, Wheelie, Acrcce, Chromia, Elita-One, Sideways, Yellow Rampage, Demolisher, Scalpel, Soundwave (satellite), Ravage, Grindor, Insecticon, The Fallen, Dino, Que, Roadbuster, Topsin, Leadfoot, Brains, Sentinel Prime, Shockwave, Hatchet, Soundwave (car), Laserbeak, Hound (AoE), Crosshairs, Drift (Bugatti), Scorn, Slug, Strafe, Galvatron, Junk Heap, "Two Heads," Steeljaw, Stupid Drone, Hot Rod, Hound (TLK), Squeaks, Daytrader, Dragonstorm, Stormreign, Dragonicus, Steelbane, Skullitron, Nitro Zeus, Barricade (TLK), Mohawk, Onslaught, Dreadbot, Berserker, Cliffjumper, and Shatter (jet). And that's just a mostly complete list of properly named characters from the movies! There's a lot more unnamed or unofficially named filler Autobots and Decepticons that can be used for more conceptual entries. The Studio Series has a loooong ways to go yet until the movie cast is completely represented. I'm hoping it has the legs to go another several years at this point. Carnivius_Prime wrote: (and I've been tempted to sell the standard yellow one too, I don't even like VW Beetles that much to begin with). If I'm remembering correctly, Clunker Bee and Crankcase were the 2 short packed for the wave. My Walmart used to have plenty of each of that wave's deluxe. Barricade, Clunker Bee, Sideswipe, Crankcase, and WW2 Bee. Now, all that's left is Barricade and Crankcase, who join the shelf warming resident Dropkick, the remainder of POTP, and the overpriced G1 Prime. Siege consists of the Battlemasters, Micromasters, and the wave 1 deluxes. Nathaniel Prime wrote: My Walmart used to have plenty of each of that wave's deluxe. Barricade, Clunker Bee, Sideswipe, Crankcase, and WW2 Bee. Wolfman Jake wrote: Does anyone know off hand what the ratio is for this wave? Having five different figures is awkward, but if Hasbro is smart, they did two each of Sideswipe, Barricade, and Crankcase and left the two different Bumblebees at one a piece. Well, that half makes sense, I guess. Believe it or not, I really am impressed by SS-27 Clunker Bumblebee. The paint weathering and rust looks pretty good, and makes him a lot more screen accurate in his 70's Camaro form. I especially appreciate that the hinge on the hood and roof assembly now has a pin through it to keep it from popping apart every time you transform it, unlike SS-01 Bumblebee. It is a bit of a shame that the robot mode is lacking some paint detail for the sake of the rust and paint wear on the alt mode. Having SS-01, though, I was able to swap the forearms, abdominal piece, and the arm cannon around to restore some of those lost details on Clunker Bee. There's just a bit of black striping still missing on the robot mode chest and at the very back of the car (over the spoiler) on SS-27, but I can live with that. Clunker Bee with his SS-01 part swaps has become my definitive Movie 1 Bumblebee in my display (at least until the 2007 Concept Camaro finally makes an appearance). Wolfman Jake wrote: at least until the 2007 Concept Camaro finally makes an appearance. I'm curious if we will see that. Considering we got the MPM 2007 Bee, and then now we are getting the MPM Megatron, it makes me wonder if they are planning to make SS versions of these since the MPMs are already out for them. the other MPMs either came out at the same time or after their respective SS version (except Prime, but it's Prime), so I'm curious. I am begging for Dino and Wreckers though, come on give us those! I don't think Masterpiece Movie versions will prevent releases of certain characters or forms in the Studio Series line, mainly because we've already had precedent with the likes of Ironhide, Jazz, and Barricade. Two of those came before their Studio Series version, and one is coming afterwards. Also, the Studio Series is all about internally consistent scale, and the MPM versions of 2007 Concept Camaro Bumblebee and Movie 1 Megatron are both way too big for scale properly with the Studio Series line.